Introducing the Tatuaje Reserva Broadleaf Collection. The concept is simple: build a massive retailer display to house 10 of the brand’s most sought-after blends. 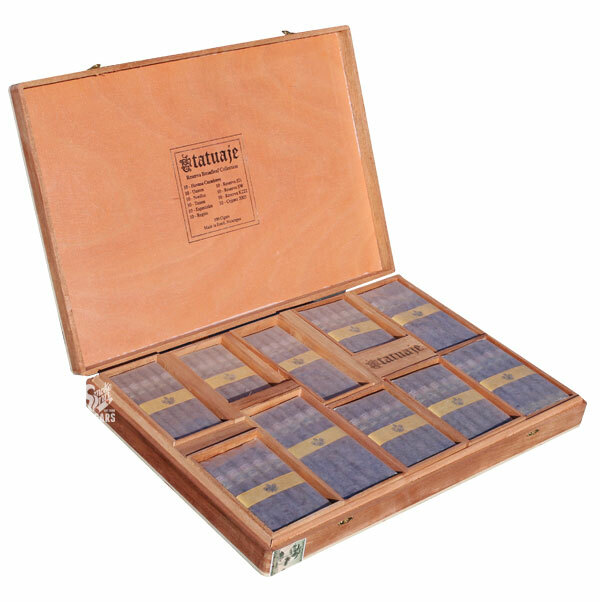 This includes all 6 of the original Seleccion de Cazador (Brown Label) cigars—each swapping their original Ecuadoran Habano wrapper for Connecticut Broadleaf. Tatuaje then includes 4 additional sizes: J21, SW, K222 and Cojonu 2003. These cigars are limited (Reserva) variants of the Brown Label blend, all made in small batches at the Garcia family’s original factory in Miami. But Tatuaje has taken these special cigars and made them even more special, applying the Broadleaf treatment to make for an experience found only in this new collection of Broadleaf cigars! 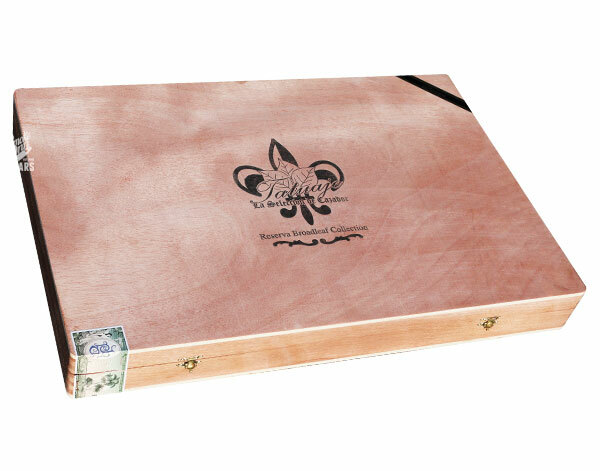 Tatuaje built a beautiful display, housing the cigars in the likes of a giant, wooden cigar box—with each size bound and wrapped in a Cuban-style Cabinet presentation. But despite Tatuaje’s intentions, we felt the presentation was simply too epic to be broken up at our brick & mortar locations… therefore we’re offering a very select number of the entire collection for sale—act now while supplies last!